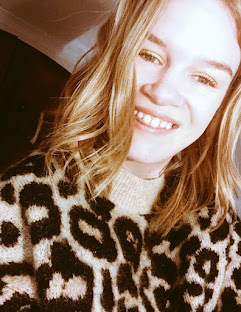 Welcome to my first Monday Blog, Old Hollywood Stars. 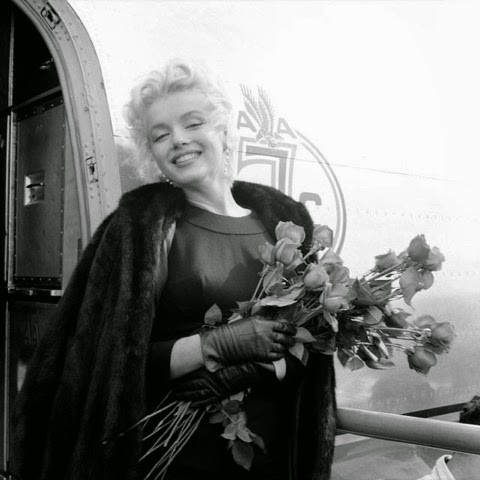 I'm starting it off with the most famous American actress of all time Marilyn Monroe. Before I begin all the photos I'll be posting of Marilyn are all from Instagram accounts that I follow. Marilyn was born as Norma Jeane Mortenson on 1st June 1926 in Los Angeles County Hospital. Norma's surname changed to Baker not that long after she was born. She was the third child to born Gladys Peal Baker nee Monroe. 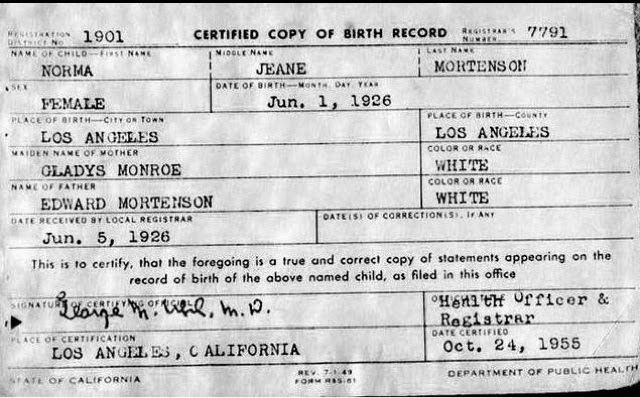 Here is a copy of Norma Jeane's birth certificate which I found on Google images. After a long story cut short on who her father was (you can read about it on google) Norma Jeane believed her father was always Charles Stanley Gifford and not Mortenson as she was shown a photo of Charles when she was a child. Her mother told her Charles Gifford was her father. 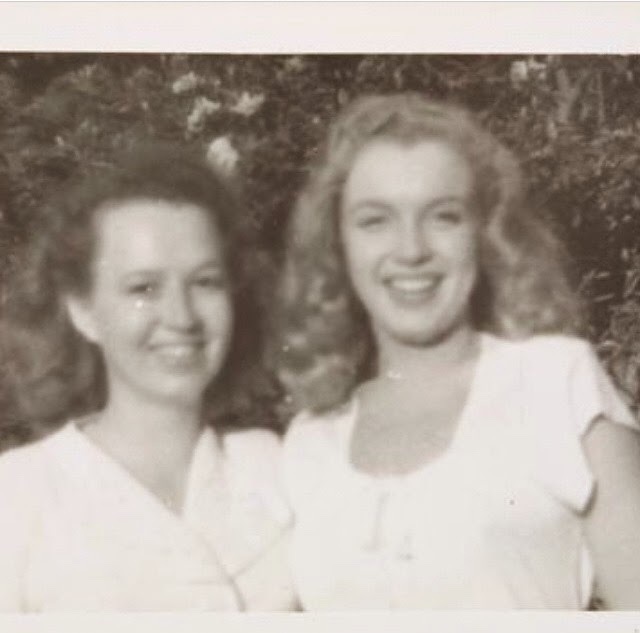 I believe that Norma Jeane had a half sister called Beatrice. Here is a photo of both them together in 1946. Gladys was mentally unstable and unable to care for Norma. She was in and out of foster homes until she was seven. In 1933 Gladys bought a house and Norma went live with her. She then got moved back into foster homes during this time she suffered many effects such as hyper-sexuality, sleep disturbances, substance abuse and interpersonal relationships during her childhood. In 1942 Norma met James 'Jim' Dougherty and they got married in June when she turned 16 which lasted 6 months. Whilst she was married to Jim he encouraged her to apply to a modelling agency which she did and bleached her brown hair to a golden blonde. She then became a successful model and after many decisions her stage name became Marilyn Monroe. Her second marriage was in 1954 to Joe DiMaggio a retired baseball player. Arguments, jealous and fame ended their marriage in the same year. In 1956 Marilyn now met Arthur Miller and married him till she died in 1962 on August 5th. She was only 36, she died of an overdose even though lots of people think she was killed due to many reasons. She died too soon, she was a beautiful talented women and so many people love her. She was mixed up due to having a terrible childhood/up bringing.